The legal cannabis industry could explode from $10 billion this year to $57 billion over the coming decade. 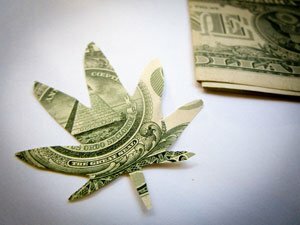 That 470% growth potential has investors pouring money into the industry, and one of the most popular ways to do it is through cannabis ETFs. In fact, if you're investing in one of the most popular marijuana ETFs, you could be overpaying for the exposure you're getting. The ETFMG Alternative Harvest ETF (NYSEARCA: MJ) is one of the most popular cannabis ETFs on the market. The ETF holds some of the biggest publicly traded marijuana stocks available, so it makes perfect sense why investors are drawn to it. The Alternative Harvest ETF holds breakout companies like Canopy Growth Corp. (NYSE: CGC), Cronos Group Inc. (NASDAQ: CRON), and GW Pharmaceuticals Plc. (NASDAQ: GWPH). First, Alternative Harvest trades at a 1% premium over the value of its assets. That means you could buy all the stocks Alternative Harvest holds for a discount of 1% below the ETF's current market value. And that's not even factoring in alternative Harvest's 0.75% management fee, which is nearly double the 0.44% industry average. Those numbers may not sound like much, but they add up quickly. NerdWallet reports a mere 1% fee could cost investors more than $500,000 out of their retirement funds after 40 years of investing. While owning an ETF might seem easier than buying individual stocks, it's costing you money. Second, the ETF is up a just 10% on the year. But if you'd owned Canopy Growth Corp., a stock Money Morning Defense and Tech Specialist Michael Robinson recommended last November, you'd be up 318%. Now those are the kind of returns you can retire on, and you don't have to pay extra to access it. You see, we believe active investing is superior to passive investing here at Money Morning. Passive investing merely guarantees you'll match the market's performance, and that's simply not enough for most folks to build the retirement portfolio they need. Passive investing ensures you'll get saddled with a loss or lackluster returns if the market isn't roaring, and Morningstar projects a mere 1.8% annual return for stocks over the next decade. That simply won't cut it for most investors. Even more importantly, passive investors will miss out on truly life-changing investment opportunities, including Canopy Growth Corp.
And that's especially true in the cannabis industry. In fact, this could be one of the biggest years on record for the cannabis industry. Canada is fully legalizing marijuana starting on Oct. 17, and when it does, it will deliver the chance to pocket as much as $2 million by this time next year. You can find out everything you need to know in our exclusive briefing right here. Plus, 16 states have cannabis legalization on the ballot this November. In the election year of 2012, marijuana stocks started rate gains of as much as 3,240%. In 2014, they started producing up to 4,606% profits. In 2016, they began rare climbs of 6,074% and more. Click here to find out how you can access the four cannabis stocks to buy before this year's election.